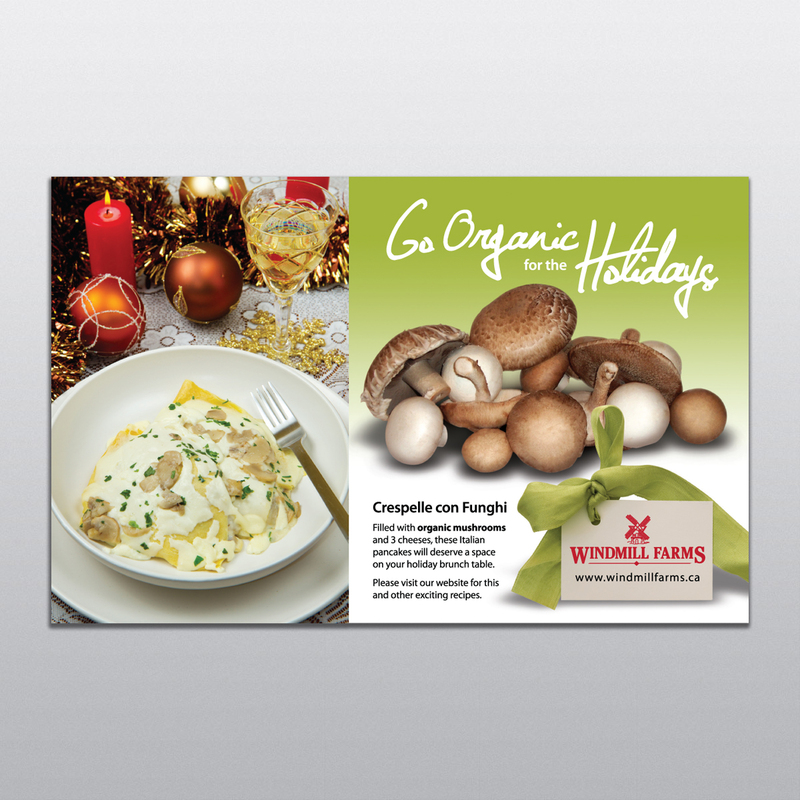 To help promote Windmill Farms mushrooms I created a series of ads which appeared in the LCBO Food & Drink magazine. 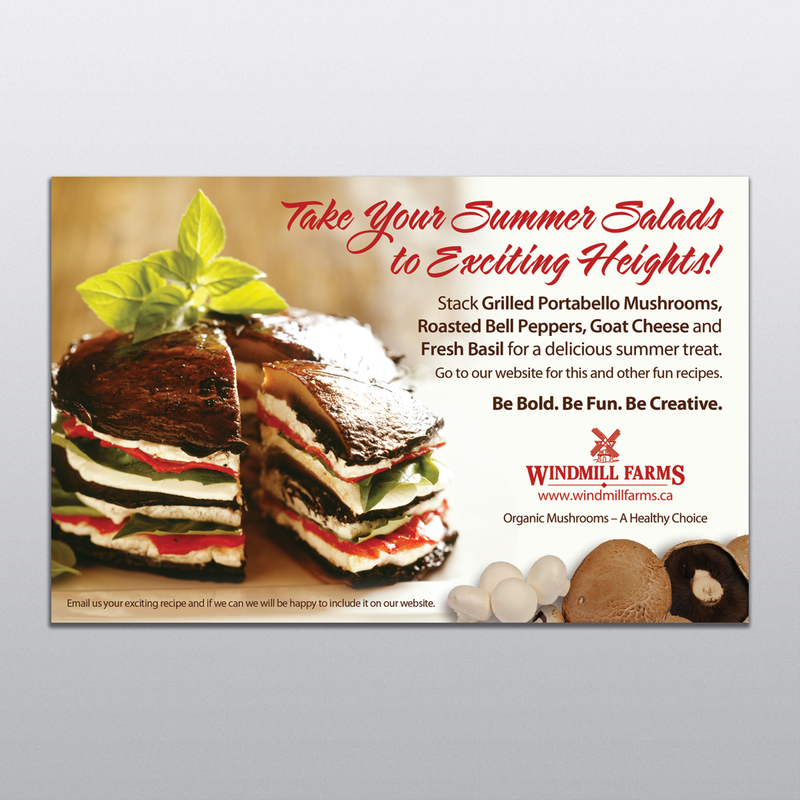 The concept of the seasonal ads was to educate the customer on the versatility of mushrooms. The customer supplied a product photos which I then close-cropped and colour corrected. I then sourced out a beauty shot and a recipe which I (personally) tested and modified – perks of the job! The result was a series of elegant and informative ads.